The pixie haircut is back, just in time for summer! The pixie haircut made its mark back in the 50’s in Hollywood on Mia Farrow (Rosemary’s Baby) and Audrey Hepburn (Wait until Dark.) They made such a hit of the pixie haircut that virtually all Mother’s of that era ran their little girls to the beauty salon (sometimes to the barber shop) to get their little darlin’s the easiest maintenance cut of the summer! I’ve spoken with literally hundreds of women who, back in the 50’s, were forced into wearing the pixie haircut, my two sisters and I included. Most of us went kicking and screaming into the hair salons, knowing it was going to be yet another summer we were going to feel like boys! On top of that, most families had an at home ‘barber kit’ which was used to keep up the pixie haircut for months to come. Yikes! Need I say more? But, at least there were lots of funny looking kids running the neighborhoods with short, crooked bangs (not the asymmetrical type we may covet today) so you never felt alone in your misery! Fast forward to today’s pixie haircut . . . cute as a bug now, and still the simplest haircut to deal with in the hot summer months! Pixie haircuts look best on women with oval and heart face shapes. 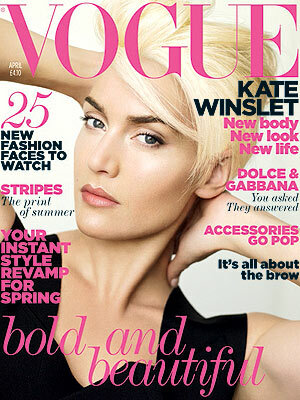 The short pixie haircut flatters women with petite facial features accentuate pretty eyes! By the way, it’s good to note that the terms ‘pixie haircut’ and ‘crop haircut’ are sometimes used synonymously but describe two different cuts. In general, a pixie cut has shorter layers than a crop cut. I suggest you bring in a picture to be sure you and your hairdresser are on the same page before snipping away. Some hairdressers call Rihanna’s do a pixie haircut, some call it a ‘crop haircut,’ but they aren’t the same. Looks like Jessica slightly darkened her hair, making it one shade deeper brunette. Love the pixie haircut with long and short textured layers. 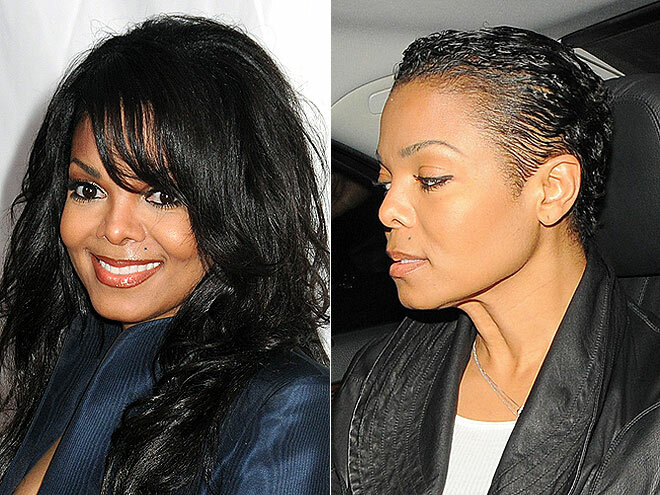 It not only updates her look, but is much more flattering and brings out her great bone structure. Michelle William’s long layered pixie haircut is a more sophisticated and modern look for her. The shorter haircut also makes her hair appear fuller with more body. I know this isn’t Katie’s do now, but I actually like this pixie haircut she wore in 08’ better than her current haircut . . . adorable! Janet took the plunge into a pixie haircut recently . . . that was lots of hair cut off! 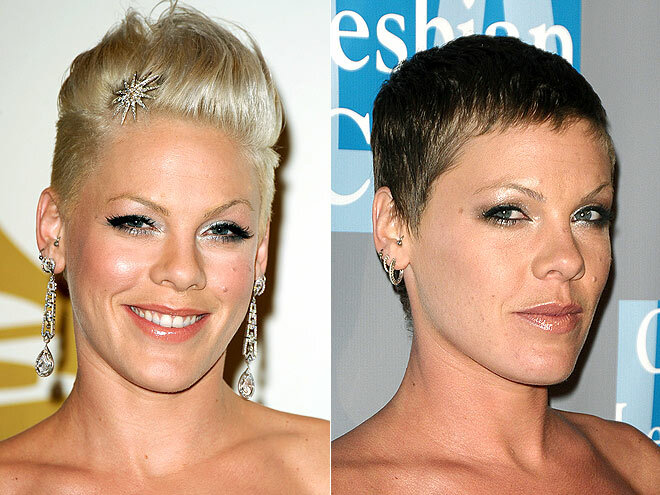 Pink goes shorter with this pixie haircut and ‘kicks’ it up one more notch by tinting it brown! Thanks to Peoples Style Watch for the photos! Pixie Cuts: Can You Wear Pixie Haircuts? February 3, 2014 By: Barb Quinn Hairstyle Blog Leave your comments (4), Your input matters. I love long hair but these pixie cuts are making me want to take my Hair extensions out and make Portland Oregon pixieville! I love Hayden’s Pixie! Tomorrow is the last day that John Frieda salon tour and I HOPE I can do something like this.